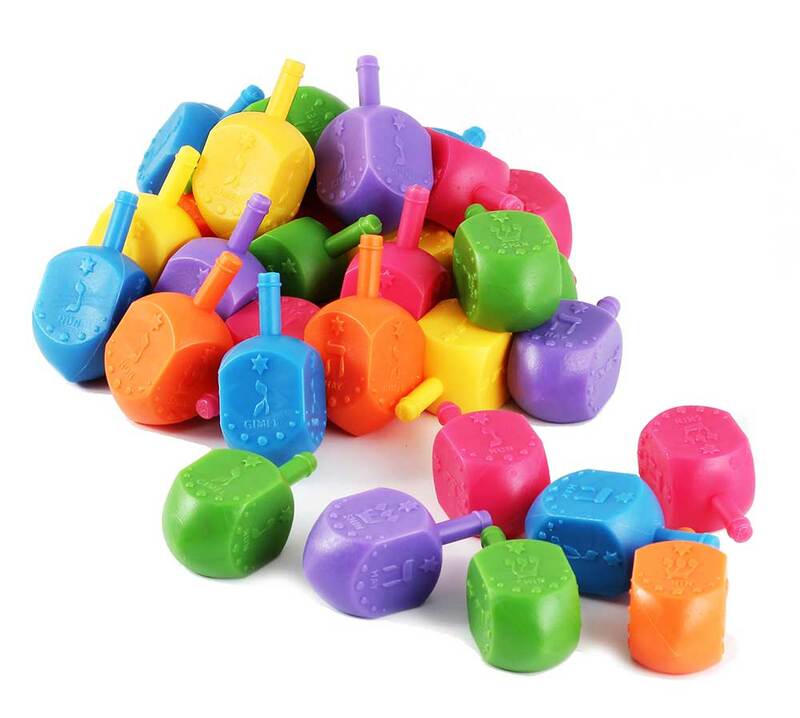 Medium Plastic Dreidels - 100 Pack of colorful Draydels. 1 3/4" tall. New! now with english transliteration of the Hebrew letters. New! 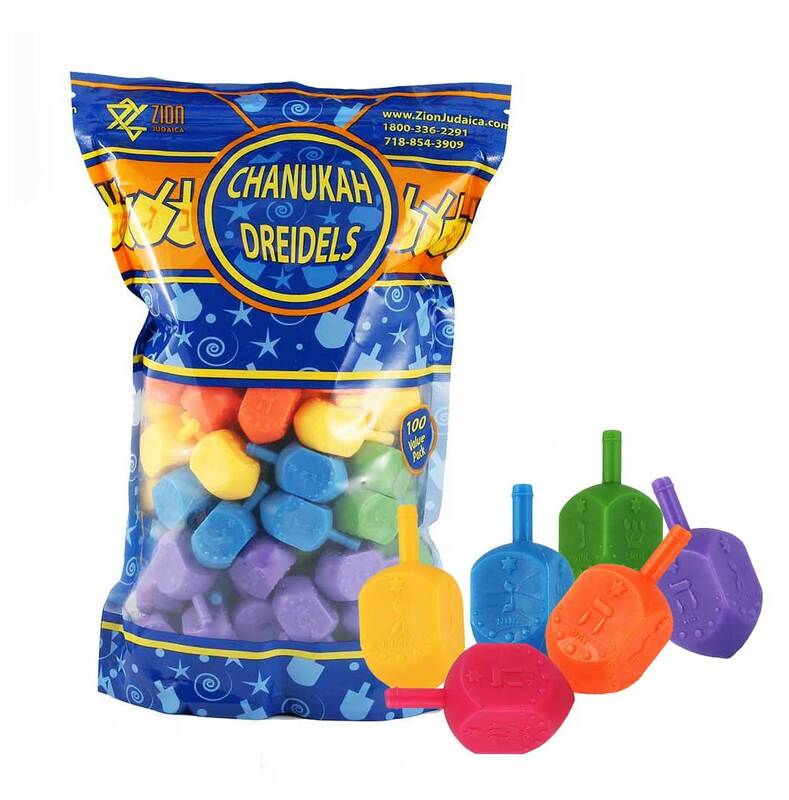 Free-standing resealable zip lock bag! GUARANTEED LOWEST PRICE IN ITS CLASS!